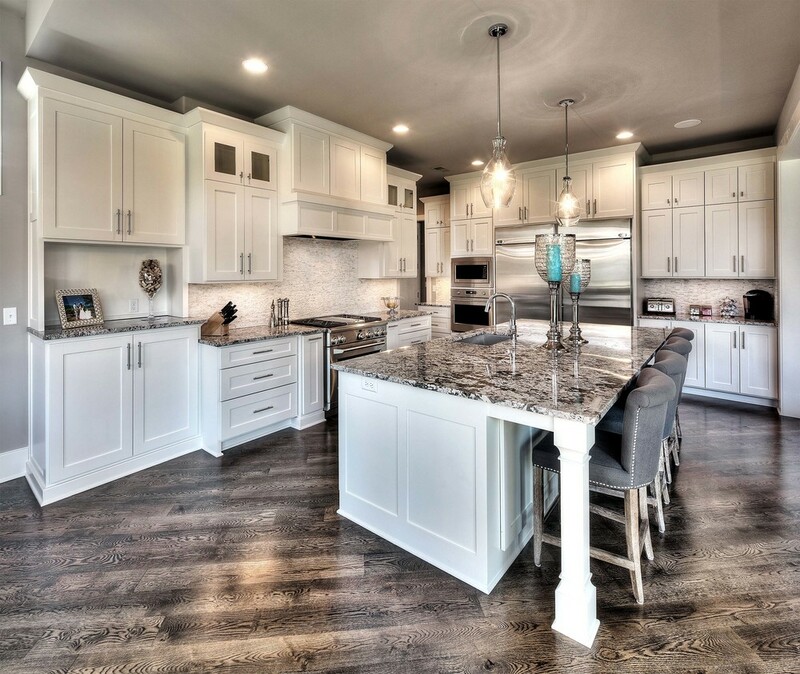 At Larson Building Company we believe in providing you the highest standards of excellence, elegance, and quality construction in your new Kansas City home. 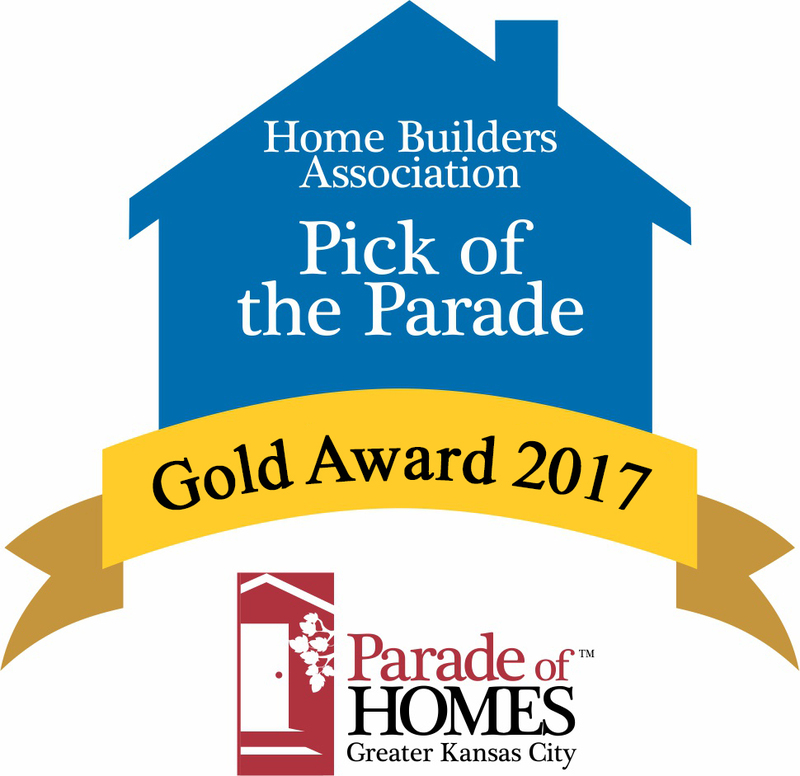 As a Kansas City custom home builder, we've had the honor of building several homes for our Kansas City neighbors and were recently awarded the "Pick of the Parade Grand Award Winner" from the KC Home Builders Association for 2016. We invite you to come see how we are redefining the standard of excellence in the Kansas City housing market and how we can find you your perfect new home. COME SEE US AT THIS YEARS FALL PARADE OF HOMES TOUR!!! At Larson Building Company, all of our homes are built with the finest materials and dedication to craftsmanship possible. We utilize real stone on our exteriors and hardwood in our interiors with a high-performance finish for superior appearance and a long-lasting guarantee. Upgraded trim packages, premium painting supplies, and granite countertops are all standard features. Our well-planned spaces make your new Kansas City home comfortable as well as beautiful. In fact, we were honored as the "Pick of the Parade Grand Award Winner" by the KC Home Builder Association in the 2013 Fall Parade of Homes. We focus on elegance and functionality: all of our homes are independently rated by an energy consultant to determine performance, and our homes consistently have a HERS rating of approximately 53 or better. Our exterior wall construction is designed for strong structure and superior insulation, which we combine with a tightly sealed home and blown-in wall and attic insulation, which greatly improves heating and cooling efficiency. Additionally, there's a lot of work to ensure superior foundation sealing and drainage as well. Other energy efficiency standards include a 95% efficient furnace with humidifier, 16 seer air conditioner, and a 4" Merv 11 furnace filter for better air quality. Our ducting has been protected throughout the construction process to help keep the construction dust from getting into the heating and cooling equipment. Venting for your range hood has been provided standard to help keep your air quality better during cooking. Our standard plumbing fixtures in the kitchen and baths are Delta Leland series with available finish options of venetian bronze, stainless, and chrome, and our standard master tub is considered to be a significant upgrade in our competitor's homes. We're proud of what we do, and would be honored to share that dedication and quality craftsmanship with you. 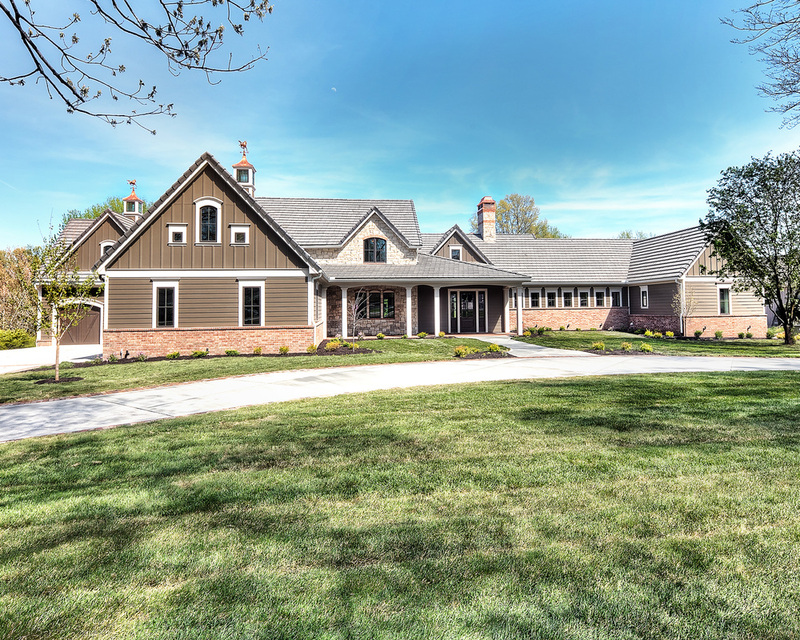 Contact us today to see how we can build you the perfect new Kansas City home.